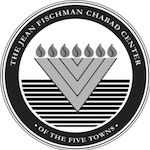 The Jean Fischman Chabad Center of the Five Towns is committed to providing programs to every Jewish person in the Greater Five Towns. To help support Chabad’s many programs, we have created the Tree of Life Partnership Club. The Tree of Life Partnership Club relies on the strength and power of the united participation of the community. Our goal is to build a Tree of Life Program that will ensure The Chabad Center’s long term survival and growth. As a Tree of Life partner, you will be informed of the fund’s continued progress at an annual gathering, so that together we can celebrate the success of our joint efforts. Your commitment to be a Tree of Life partner will continue to benefit you, your family, your friends, neighbors and the community at large. Chabad of the Five Towns has touched the lives of many through our Multiple Youth Clubs, Bar/Bat Mitzvah clubs, Senior’s programs, Hebrew School, Friendship Circle, Bagel Babies, daily Torah classes for men and women, Gan Chamesh pre-school, Jewish Learning Institute. The list goes on and on. Under the guidance of the Lubavticher Rebbe, Rabbi Menachem Mendel Schneerson OBM, Chabad has made “Ahavat Yisrael” - Love of a fellow Jew - the driving force that gives it momentum. Acceptance of every Jewish person on their own level, regardless of their background, observance, age or financial status, has become a trademark of Chabad. Your monthly Tree of Life Partnership will make you an active partner in all that Chabad offers the community. We sincerely request that you make this a priority among your charitable investments. I welcome your partnership and your input and look forward to personally welcoming you to the club! While we greatly appreciate all donations and shul memberships, a Tree of Life partnership takes us to a whole new level of investment. Thank you for being part of our vision and investing in the future of our Jewish Community. I would like to make a one time payment. Please charge my card below. I would like make recurring monthly payments. Please charge my card below on the first of every month.